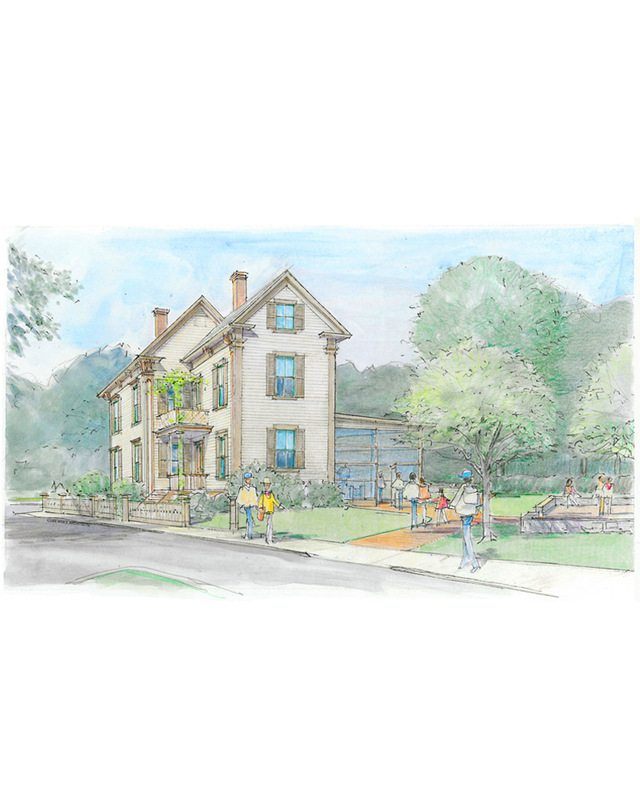 Lynn Historical Commission — Wolf Architects, Inc. The Lynn Historical Commission honored Longyear Museum's Mary Baker Eddy Historic House in its annual award program on June 3. In a ceremony in Mayor Judith Flanagan Kennedy's office in Lynn City Hall, the Historical Commission presented its "Significance Award" to Sandra Houston, the president of Longyear Museum. The "Significance Award recognizes the dramatic transformation of this historic house museum, as designed by Wolf Architects. A new entrance pavilion provides universal accessibility to the house. The architects restored both the exterior and the interior of the building, which is a contributing structure in the Diamond National Register Historic District.